Yesterday’s pilot of Almost Human was very polished though it did shy away from taking too much risk. 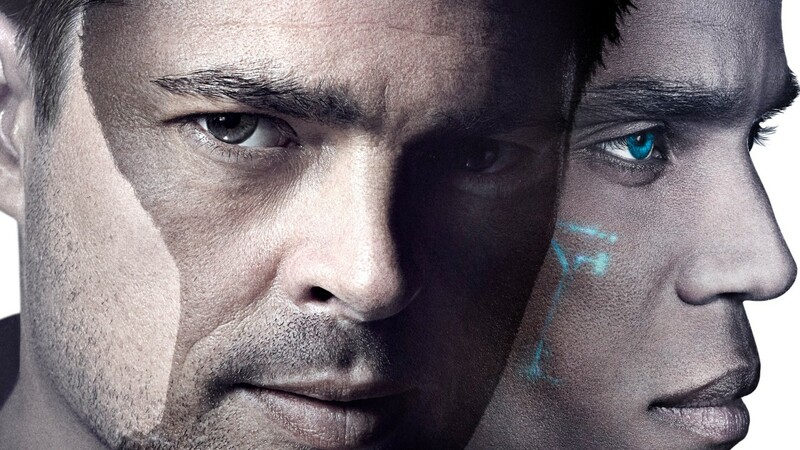 The banter between Michael Ealy as Dorian and Karl Urban as John Kennex is clearly the biggest attraction to the show. The only possible problem I foresee is writer fatigue and the need to find increasingly outrageous dialogue between the two. Which kind off killed House for me. After yesterday’s episode I expected the special effects for the show to decrease in quality but the opposite is in fact true. The opening shot of the episodes neatly shows in spectacular fashion the ends to which criminals would go to hide their traces. The only disappointment with the special effects is that the show is supposed to take place in Los Angeles while it is filmed in Vancouver, and it shows. Detective Kennex and Dorian are investigating the murder of a sexbots designer named Sebastian Jones. Not only is the crime scene meticulously cleaned by the perpetrator but the sexbots seems just as interesting when they discover she is giving off DNA traces. Mr. Jones former partner may be a sleaze as well but is quickly ruled out as the murderer. The topic of sexbots seems to invoke different feelings on everyone in the investigating team. Detective Stahl questions their ethicality while Captain Maldonado accepts them as a good way for people to control their sexual urges. Kennex and Dorian quickly finger the Albanian Maffia as the murderers but the investigation takes a new direction when they discover that the DNA traces of the sexbots match those of missing women. The Albanians are using skin crafts from the kidnapped women on the sexbots to make them seem more real to touch. Kennex and Dorian also need to question a young boy whose mother has been kidnapped by the Albanians. Dorian questions Kennex’s suitability for the task as he seems hesitant to be among children. The boy manages to identify the car used. Kennex and Dorian find besides two Albanian Mafioso another sexbots in the car. She has only limited cognitive skills but with the help of Rudy the hacker/technician they uncover where she was first activated. With this information the lair of the Albanians is uncovered and all but one of the kidnapped women is found alive. The episode ends with Dorian witnessing the deactivation of the sexbots and Kennex visiting his former partners widow and son. A side plot exists throughout the episode in which Dorian is trying to encourage John to use a dating website. It culminates in Dorian questioning John’s reluctance as he scanned the latters testicles and found them ‘at full capacity’. When Kennex describes to Dorian his ideal woman Dorian reminds him that he is describing Detective Stahl. ‘Skin’ had a daring and rather risqué topic that could have had more emotional impact if it weren’t for the weak antagonists. Their stupidity and wooden characterization really dragged the episode down. First you have to wonder why they thought kidnapping women of the street for skin wouldn’t draw attention. Also deploying sexbots that give of DNA traces and killing your main competitor give cause to muddied waters along the way. What ultimately remains is Dorian’s feelings and concerns for the sexbots that are programmed to bond but can’t reason or feel anything about what they do. The purpose of this depiction of sexbots is to draw parallels with our own societies’ sexualization and the negative effects it has on women. The fact that there were no male sexbots in the episode seems to underline that. However, had they used male sexbots the message may have been all the stronger as viewers are now left suspecting that the actresses in garter belts and teddies were just to score good ratings among the young male audience. Some viewers have noted how different the topic was from yesterdays episode and wondered whether the episode was shown out of sequence with those shot. The answers is in the affirmative. This episode was shot later which indicates why Kennex seems to have bonded so much with Dorian. Fans immediately drew parallels with Josh Whedon’s Firefly but that is an overreaction. Almost Human is not going to get cancelled after two episodes that have been highly rated. Score; 8.3 / 10. A good episode that feels a bit rushed. Next story Person of Interest S3Ep9 ‘The Crossing’ Review! 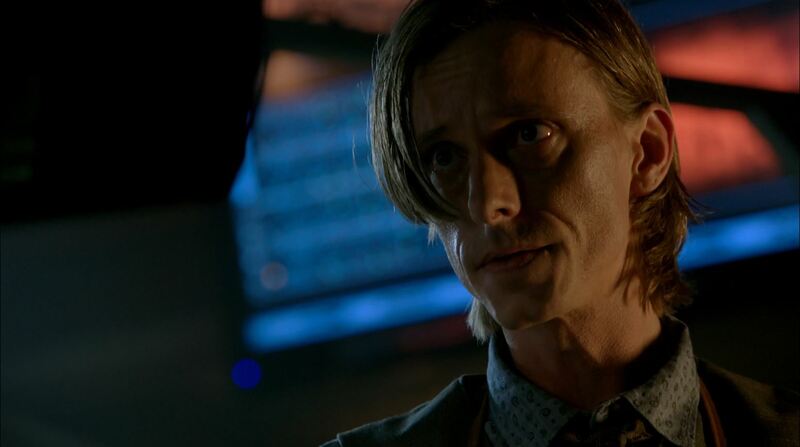 Previous story Almost Human S1Ep1 ‘Pilot’ Review!